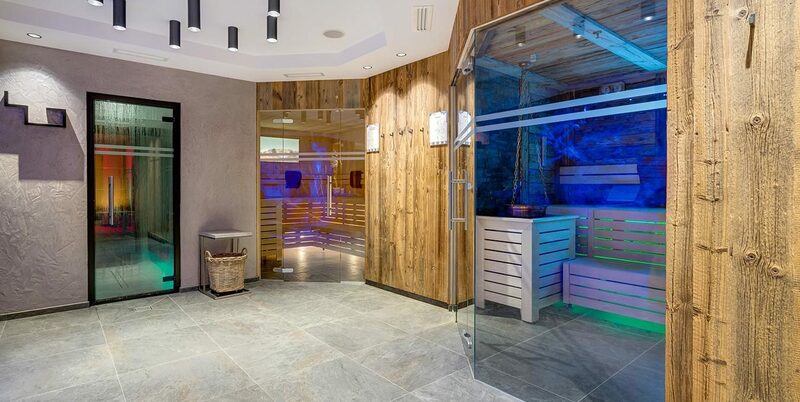 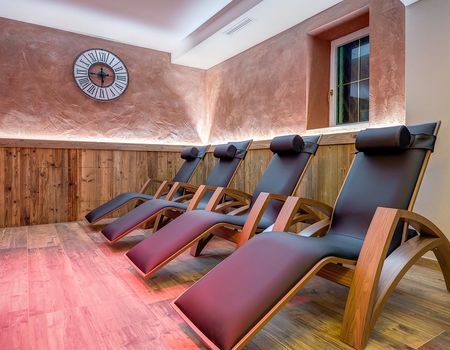 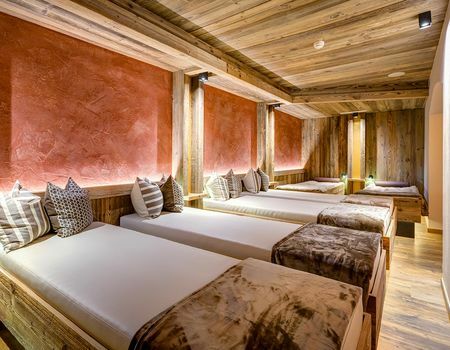 After a mountain trek or a day on skis, it is wonderful to relax both your body and mind for a few hours in our completely renovated wellness area. 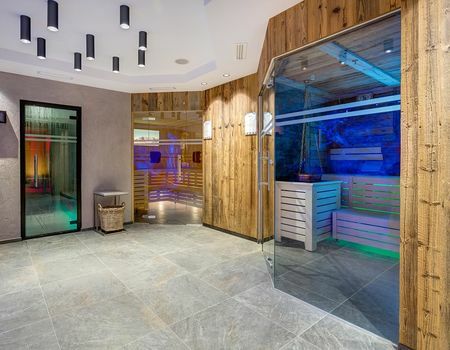 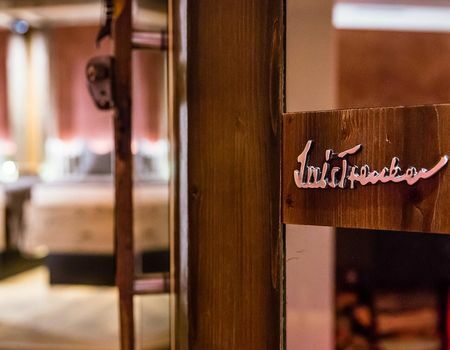 A Finnish sauna, a Turkish bath and an aromatic herb bath await you to regenerate skin, body and mind. 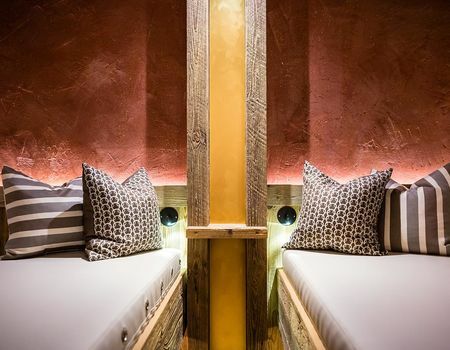 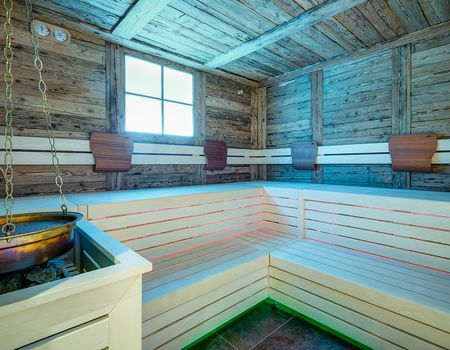 In the infra-red cabin you will be embraced by a warm heat that will relax your muscles. 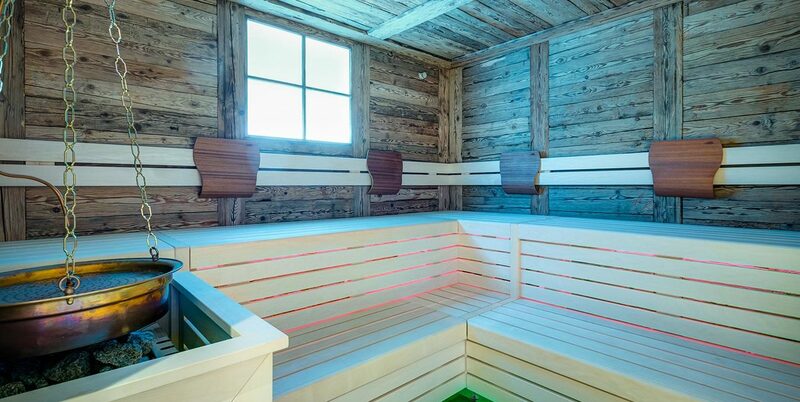 After the sauna, our “crushed ice“ fountain will invite you to cool down and boost capillary blood circulation. 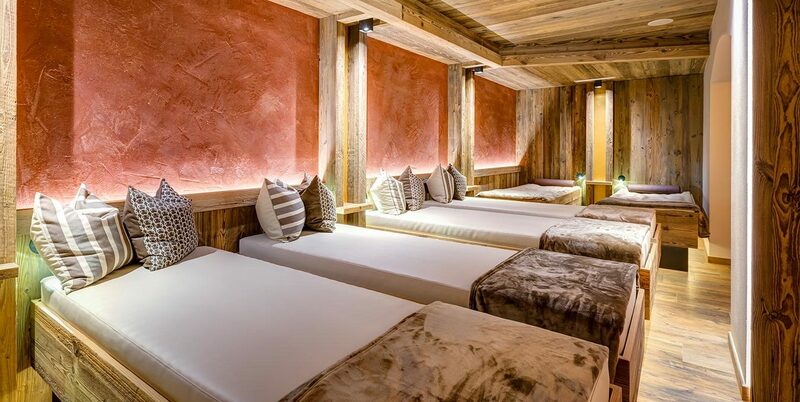 At the end of your wellness session, take a rest in our relaxation room on comfortable water-beds. 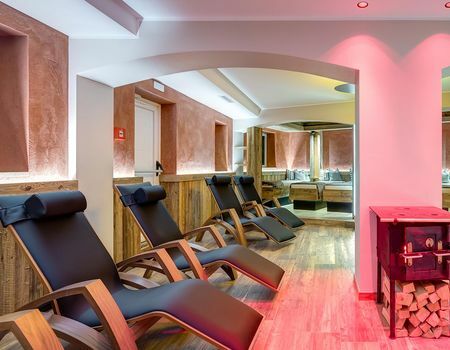 If you are staying for 3 days or more, at the reception desk you will also receive a bathrobe and a wellness bag free of charge.